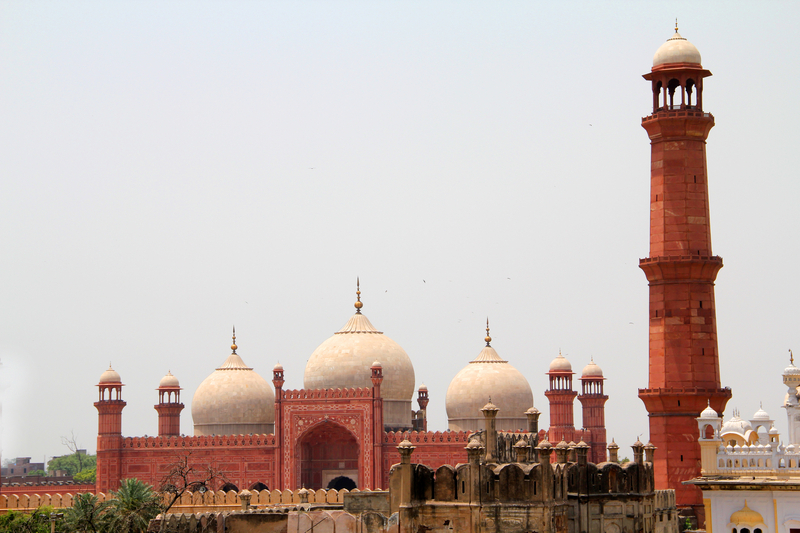 What makes Lahore, Pakistan a wonderful tourist destination? Lahore is the provincial capital of Punjab, Pakistan and is home to about 100 million people. The city’s historic value is apparent from its old architecture and rich culture. It is one of the most happening cities of Pakistan and has been acting as the catalyst state to launch many important movements. For tourists, Lahore is perhaps the safest city and offers a whole lot of exciting things to do, and places to visit. 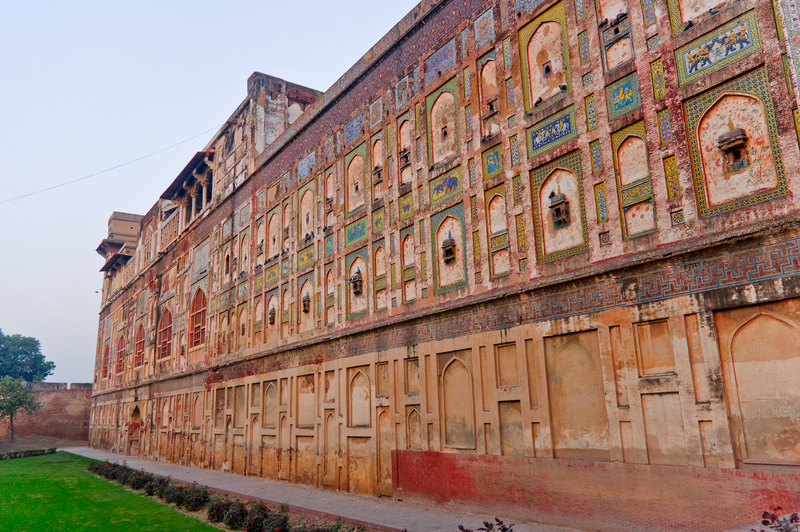 From fine hotels to chic rides and excellent food spots, Lahore has everything for everyone. I am compiling a list of five best places to visit in Lahore. If you are visiting Lahore for the very first time, Shahi Qila, also known as Lahore Fort, is the place to start from. When constructed in the 16th century, the Fort was located on the northwestern edge of the Walled City. Lahore has expanded fairly ever since and the Fort is now somewhat in the centre of northern Lahore. The place is grand, its architecture is mesmerizing and detailed, and the charisma of Shahi Qila is hard to ignore. The Fort is spread over an area of 20 hectors and has passageways for the elephant rides. If you work your imagination a bit, you can visualize the scene from centuries ago when kings, queens, princess and court men of Moghal Era had used the place entirely as their own territory. Food Street in Gawalmandi, Lahore had earned great fame among the locals and foreigners in quite little time. Due to various serious issues concerning the people living in surrounding network of narrow lanes, Food Street Gawalmandi had to be closed down. For couple of years, everyone who has been to the place or had planned doing so appeared complaining about this action. On popular demand, Food Street was opened again in January 2012 but the venue was changed this time. The Fort Road, locally known as Hazoori Baagh Road, located in Shahi Mohala near Shahi Qila, is where you can now find all sorts of Desi food that is home to different regions in Pakistan. People have warmly welcomed the decision and the most attractive “thing to do” in Lahore i.e. eating in traditional settings, has begun again. Anarkali Bazar is one of the oldest markets of South Asia and has a glorious history that spans over 200 years. The bazaar is known best for its narrow lanes where sunlight refuses to enter even on sunny days. Small shops stuffed with fancy jewellery, readymade traditional dresses, shawls, bangles, cosmetics, shoes, bridal wear and everything that comes to mind when you think of Asian Fashion can be found there. Lights, Colours and Life are the three words I have for AnarKali Bazaar, Lahore. If you wish to buy something for the friends and family back home, Anarkali is the place where everything is a display of local handicrafts and cottage industry. Including the things, which attract me the most about visiting new places, food is on top of that. In Pakistan and especially Lahore, food is main part of every activity. From breakfast till late night suppers, the variety available in Lahore will confuse you. I am especially very fond of the their grand breakfasts where traditional “Halwa Poori”, chick beans masala, “Kulchas”, fresh butter, Parathas, scrambled eggs, yogurt, pickle, “Lassi” and God knows what else are available on the table. There are various restaurants, which offer similar range of food for breakfast. If you wish to explore the complete range of food served and liked in Pakistan, MM Alam road is where you can do just about that. This road is completely dedicated to the restaurants and cafes in Lahore. You will also find Pizza Hut, KFC, Subway, Mcdonalds, and Hardees there but of course, the plan is to check the local taste so go for some local restaurants that you have not tried before. Located in the Cantonment Area of Lahore, Fortress Stadium is the securest places to visit in Lahore, especially for the foreigners. The setting of shops her is somewhat westernized and many branded outlets are also located in Fortress. Fortress is known best for boutiques and shopping malls including Pot Pori and Hyper Star. Various designer outlets, gift shops, children’s play areas, food spots, music centres, and toy stores are the highlights of the area. You should also try this local restaurant called Bundu Khan, their BBQ and Sea Food is the best available in town. You can request for spices according to your taste and mine has been hard so I love how well marinated, and juicy their BBQ was. I have enjoyed sipping coffee and watching the people wander around in Fortress Stadium and I will do it again whenever I will visit Lahore next time. Author Biography: William King is the director of Pakistan real estate and mainly deals in Karachi, Islamabad and Lahore real estate. Being an entrepreneur and passionate blogger he likes to share his knowledge and expertise with the industry people by writing for various related blogs.